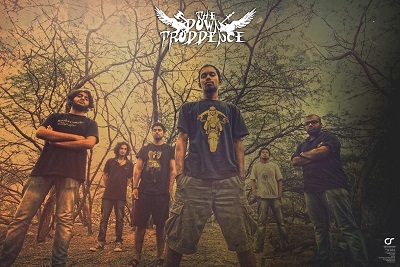 The Down Troddence, popularly known as TDT, is a Folk – Thrash Metal band hailing from Kerala, India. The band has carved out a huge fan following in India with it’s unique blend of conventional Thrash and Groove metal with a large does of traditional Kerala Folk Music elements. Formed in 2009, the band released its first single, ‘Death Vanity’ in the same year. Following it’s succesful reception, they released a music video for their song ‘Shiva’, which became hugely popular. The band on social themes in their music and lyrics with songs talking about the perception of the world and its machinations, seen through the eyes of a down trodden or oppressed person. The band has just finished recording its debut album, which is expected to be released June 2013. It is being produced by Keshav Dhar of Skyharbor fame.